Replacing teeth that have been damaged or teeth that are missing doesn’t have to mean limited choices. At Haddonfield Dental in Cherry Hill, Dr. Ahlo, Dr. Espinoza, and Dr. Wessner are dedicated to providing comprehensive dental implant care for all patients. 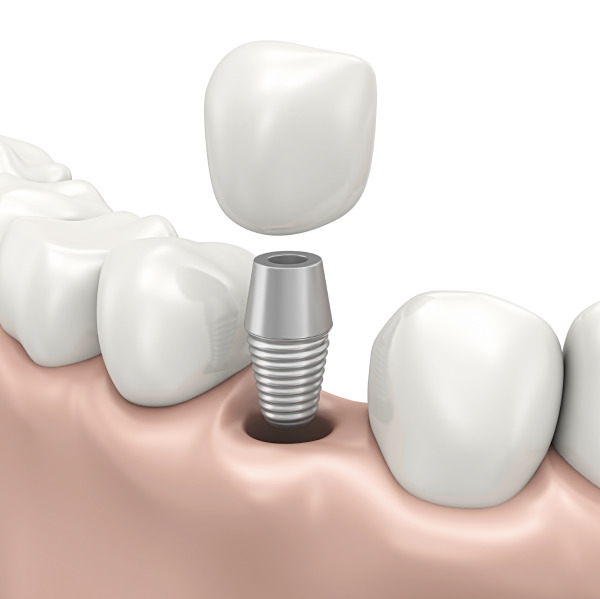 In an effort to provide accessible restoration options, Haddonfield Dental offers a number of dental implant options and preparatory methods designed to treat the unique needs of each patient, resulting in restored function and oral health. Bridge Restorations, by securing multiple teeth into place without compromising the health of surrounding teeth. Dentures, which are recommended for patients requiring the replacement of some, if not the all the teeth on an entire arch. At Haddonfield Dental, our doctors and staff work together to develop seamlessly coordinated treatment plans designed to address every aspect of implant-supported restorations. Patients who are in need of full-mouth rehabilitation therapy also benefit from receiving cohesive treatment in one single location. As a team, our dental professionals create a comprehensive plan that may include therapies including follow-up care such as braces and mouth guards. Sinus Lift: a procedure that lifts the sinus floor and adds bone to the upper back jaw near the sinus cavities, also known as sinus augmentation. Gum Grafting: tissue from the palate is used to cover exposed roots or generate gum tissue that has otherwise receded. Why can Dental Implant treatment be so costly sometimes? Always remember that you are paying for the specialists care. Because of the advanced training necessary to provide proper dental implants, it is important that you take into account who you are working with, their qualifications, where they have trained, and that they did not just take a weekend course somewhere to learn about implants There are many dentists who say they can provide treatment at fees that seem too good to be true, and unfortunately that treatment does not turn out to be acceptable. It is extremely important that your dentist take the time to explain treatment to you, and in the end you must be comfortable and trust those practitioners in order to commit to treatment. Confidence, patience, and kindness are all good attributes to look for. For more information on procedures and preparations surrounding dental implants and implant-supported restorations, please contact Haddonfield Dental today.